In Kansas City, there’s only one style of barbeque, so the only question is which side of the Missouri River will you get your barbecue? Barbecue joints on both sides – in Kansas and Missouri – are known to serve up some of the best pulled pork, brisket and burnt ends. Here are the top BBQ places you don’t want to miss! Despite its humble start inside a gas station, Joe’s Kansas City Bar-B-Que has grown to become one of the most popular barbecue joints in Kansas City. Today there are several locations, but for the original, head to 47th & Mission in downtown Kansas City. There’s plenty of deliciousness to choose from on the menu. However, Joe’s is known for their Z-Man Sandwich, a toasted Kaiser roll topped with slow-smoked beef brisket, provolone cheese and crispy onion rings. Anthony Bourdain even deemed Joe’s worthy of a spot on his list of “13 places to eat before you die.” So, as you can imagine, yes, the lines are generally out the door (but it’s so worth the wait). Q39 may not be as well-known as some of the other barbecue restaurants in town, but in just a few years, this hip barbecue joint has developed an incredibly loyal following. Prior to opening Q39, classically-trained Executive Chef Rob Magee competed in barbecue competitions with a team he assembled called the Munchin Hogs, winning competitions and national championships. Order the insanely popular Burnt Ends Burger, or try one of their competition BBQ dinner plates, like the Judges Plate, which has spare ribs, sliced brisket, pulled pork, smoked chicken and sausage. Don’t forget the sides, like white bean cassoulet, house-cut fries and apple coleslaw. Make a reservation or plan to spend time waiting for a table. A mainstay in Kansas City, Arthur Bryant’s has been serving up ribs, brisket and all things smoked for nearly 100 years. 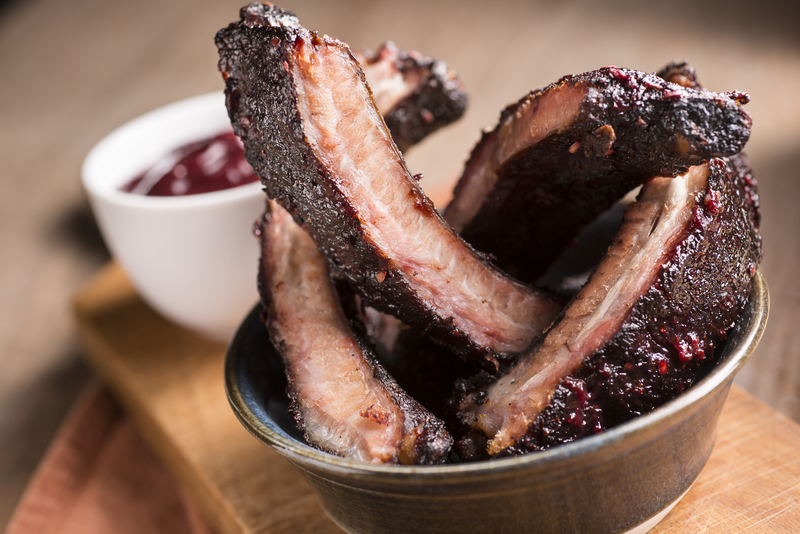 In fact, Arthur Bryant, the “King of Ribs,” created barbecue sauces that have attracted former presidents, like Harry Truman and Jimmy Carter, even celebrities, like Robert Redford and Jack Nicholson. The vinegar-based BBQ sauce is a closely guarded secret, though you can buy bottles of the tasty sauce to take home (go for Rich & Spicy). Order the short ribs or the pulled pork, two popular favorites, though anything you order with their secret sauce will be out of this world. You’ll feel like a part of Kansas City history at Arthur Bryant’s. You also won’t leave hungry. Woodyard Bar-B-Que may be a no-frills kind of barbecue joint, but clearly it has enough frills to attract the attention of the Food Network, which featured Woodyard’s Baby Back Ribs on Guy Fieri’s Diners, Drive-Ins and Dives. Woodyard Bar-B-Que cooks their meats in one of Kansas City’s last outdoor brick smokers, giving the meats a hint of white oak and hickory flavors, which may be why the smoked chicken and burnt ends sandwiches are so popular. My advice: go early, go hungry. The restaurant opens at 10:30 am most days and you’ll find there are already people in line. Make sure the cheesy corn is one of your fresh-made sides. You won’t regret it. Just three years old, Slap’s BBQ may be the new kid on the block but their impressive collection of ribbons and trophies picked up at barbecue competitions shows they can hang with the big boys. Tucked away in the Strawberry Hill neighborhood in Kansas City, Kansas, this small BBQ joint wins over patrons with its tender (like fall-off-the-bone tender), smoky brisket and delightful sweet and spicy sauces. A best bet is to order the Sampler Plate to try a little bit of everything. They also offer a No Cow Combo for smoked pork, turkey, chicken and sausage. As for sides, the hush puppies and warm potato salad are must-eats. You’ll be glad you did. With six locations on both sides of the Missouri River, the family-owned Gates Bar-B-Q continues to be a fan favorite in Kansas City. Order the ribs, sausage or burnt ends on a bun, and don’t leave without sides of green beans and mixed veggies, which are tasty and seasoned with their own special spices. When you walk in, be ready to be shouted at (er, welcomed) from across the counter with “Hi, how may I help you?” They’re not being rude, it’s just their thing. You’ve got to distinguish yourself somehow in this barbecue-loving town. Visit the flagship location on Emmanuel Cleaver Blvd to soak in the history of barbecue and Gates in the community.